When visiting Greece during peak tourist season, it can be difficult to escape the crowds. Even though Greece is a popular destination for tourists from all over the world, there are a few islands that seem to get the majority of the people, especially if they’re a destination for cruise ships. However, these aren’t the only islands that are worth a visit! Greece has other beautiful islands that are tucked out of the way. These islands have everything the Greek islands are known for, such as great beaches and stunning scenery, without the crowds. 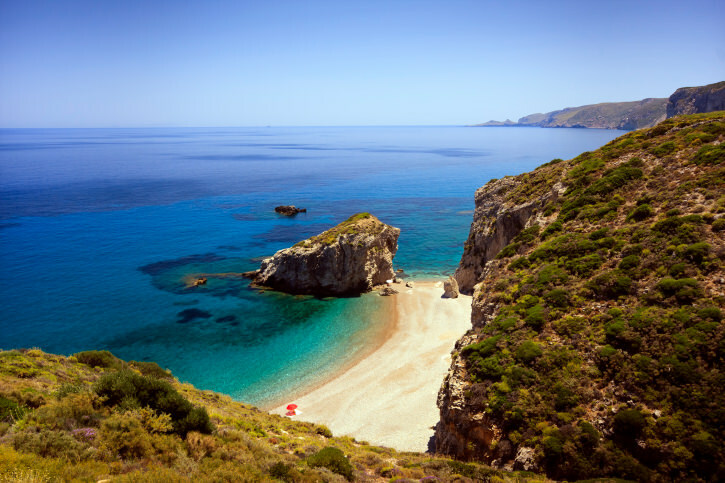 Kythira is a stunning island in the Peloponnese that isn’t as easy to get to as some of the other islands. Even though it does have its own airport and has a fairly active port, it somehow doesn’t attract the same crowds that islands such as Crete and Santorini do. As a result, guests are able to enjoy the beaches and resorts in relative peace. The island also has a rich history and is also said to be the birthplace of the goddess, Aphrodite. Even though Syros isn’t a tourist trap, it still does draw a modest crowd. This is the ideal place for people who don’t want to experience the big crowds but still want some excitement. The island has many beaches that are worth visiting, many of which also have an interesting nightlife. Emoupolo, the island’s capital city, also has a few historical sites and the amazing Saint George Cathedral. Ikaria is one of the most relaxed islands in Greece. For tourists, this can be a little frustrating at first. Shops often don’t open until around noon, which can add to the charm of the island. Even though this islands doesn’t get a lot of tourist activity, the people are very friendly and are always eager to show tourists a good time. There are plenty of beaches, tavernas, and restaurants for people to enjoy. The island is also know for their traditional festivals so it’s well worth the effort to visit while one of them is going on. Even though Crete does receive plenty of tourists each year, the island is so big that there are plenty of places that are relatively untouched by tourism. This is the ideal island for those who want a relaxing vacation but may also occasionally crave the bustle of city life. Spend the day hiking in the hills and then hit the town in one of the larger cities, such as Chania. There are plenty of hidden beaches, out of the way villages, and traditional restaurants that are relatively unexplored by tourists. 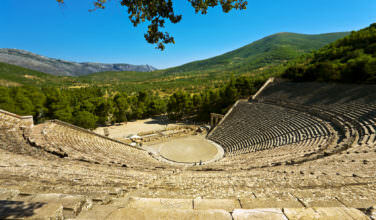 Anyone who is familiar with Greek mythology and the works of Homer will surely know about Ithaca. This island, however, is far from fictional. 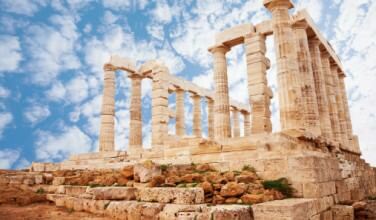 It’s a real place – and even though it has a famous history, it’s one of those islands that most tourists don’t seem to think of when they book a trip to Greece. You can easily spend your entire vacation here exploring the beaches, shops, and restaurants. There are also a lot of traditional festivals here during the summer, which make the visit even more unique.